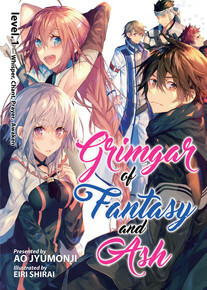 THE LIGHT NOVEL FANTASY EPIC THAT INPSPIRED A CRITICALLY-ACCLAIMED ANIME! Haruhiro awakens to darkness and amnesia, among a group of strangers who can only remember their own names…and nothing else. When they make it into the light, they discover Grimgar – a fantasy world that’s like something out of an RPG game.